GET READY! For one of the greatest concerts of all time as three incredible artists hit the road together for an impeccable tour that brings all of the throwback 70's vibes and the best in current music! That's right Heart, Joan Jett and the Blackhearts & Elle King will all take to the stage at Blossom Music Center on Sunday 4th August 2019! Heart are showcasing their legendary career this year – a once in a lifetime chance – tickets are on sale now but won't be around for long! 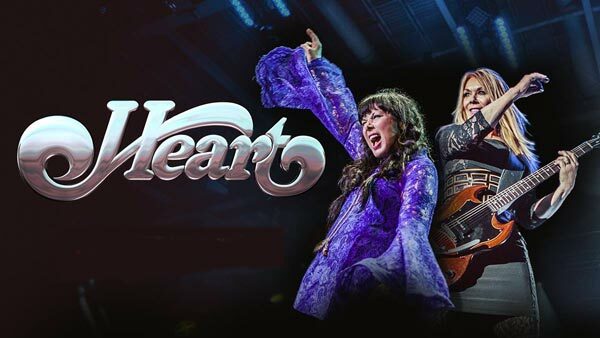 Heart are truly one of the greatest bands of all time, as they transformed the music scene as we know it, from their groundbreaking singles during the 1970's right up until the 1990's – these rockers proved they had what it took to go big. With fans hailing from Canada, the United States and around the world also – they showcased their effortless blend of sound and took the world by storm! With Ann Wilson (lead vocals, flute and guitar) and Nancy Wilson (guitar, mandolin and vocals) – the two of them have performed across the stages and during the mid-1970s took over the world with their hard rock and heavy metal infusion. Breaking down the barriers and becoming one of the biggest female fronted groups at the time. In the 1985, Heart got another push of success with their variation of sound as they transformed into a more ballad writing group. With their rock hits they continued to take their music into the 1990's and stayed at a steady success level. Fans are gathering far and wide for a groundbreaking concert this coming summer season, if you love Heart and the legendary Joan Jett – head on down for a live show you won't soon forget! These opportunities don't come around often, so you have to grab them while you can!